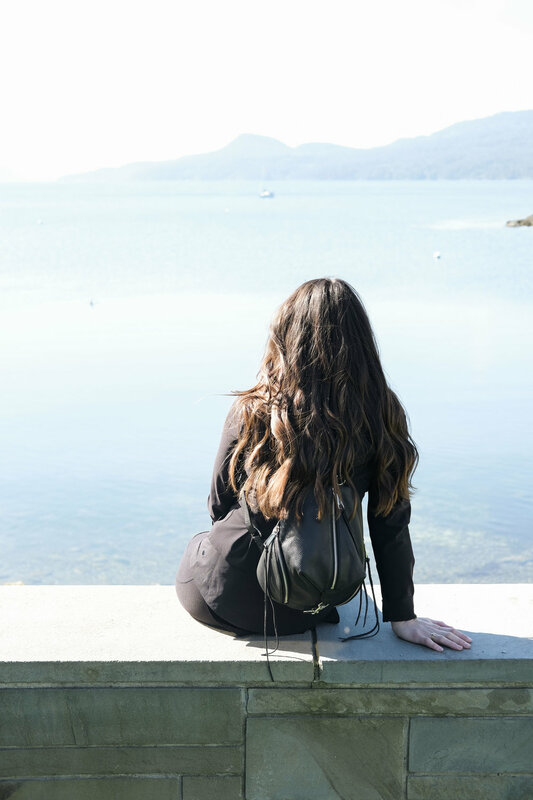 On Friday night, we stayed at Rosario Resort (Orcas Island) and it was absolutely gorgeous! The view from our room was breathtaking, and it had 3 balconies so you could enjoy it from every room. Unfortunately we didn't get to dine or relax in the spa at Rosario since we only stayed one night, but definitely will next time! On Saturday we stayed in a dog friendly hotel in Friday Harbor. It wasn't the greatest, but we didn't spend much time in the room so it wasn't an issue! Orcas Island // MADRONA Bar & Grill- This place was so delicious! The best fish and chips I've ever had, but I'd really like to go back to try the ravioli du jour (they were sold out, so you know it was good)! Orcas Island // New Leaf Cafe- Do yourself a favor and get the biscuits and gravy! Skyler did and I was lucky enough to snag a few bites. The view is also gorgeous from the patio here and on a sunny morning it was just perfect! Orcas Island // The Loft At Madrona- Our dinner was so good at Madrona, we came back for drinks on their rooftop bar the next day. The appetizers and cocktails did not disappoint and the view was stunning! 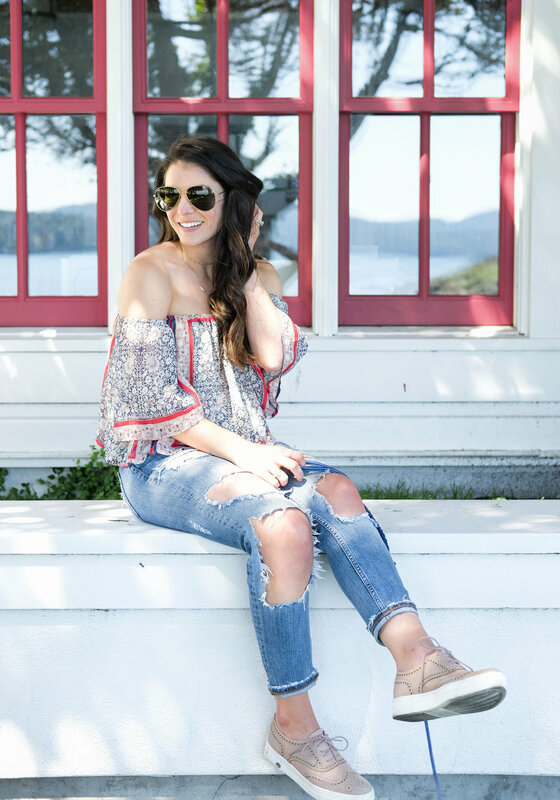 Friday Harbor // Roche Harbor Market- We went down to Roche Harbor before dinner on Saturday night to have a drink at Lime Kiln Cafe. 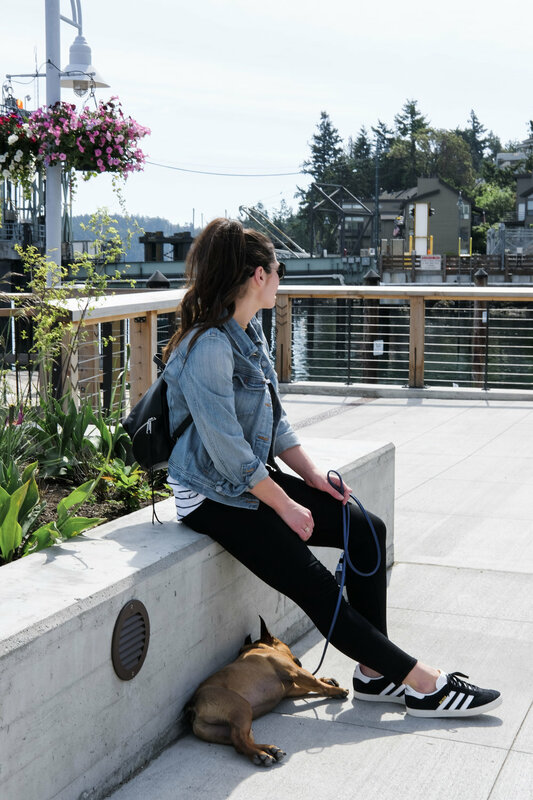 Unfortunately, they didn't allow dogs on their patio, so we grabbed snacks and champagne at the Roche Harbor Market. Luckily we enjoyed our beverages before the security guard told us we weren't supposed to be drinking on the dock- whoops! 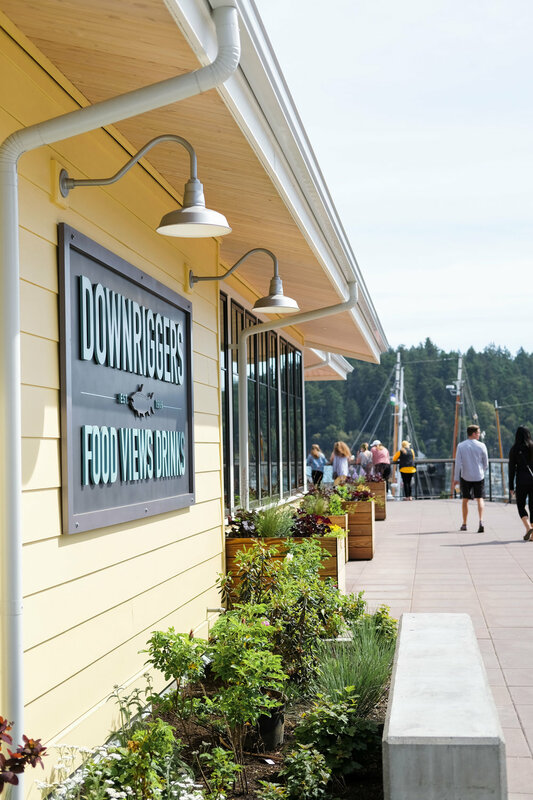 Friday Harbor // Downriggers- This place is right on the water and the decor was so cool. The food was also amazing as well as the service. After dinner we visited a couple of the local bars and it was so much fun! Friday Harbor // Cynthia's- We had brunch at Cynthia's before our ferry departed. I had the eggs benedict with crab and it was DELICIOUS! 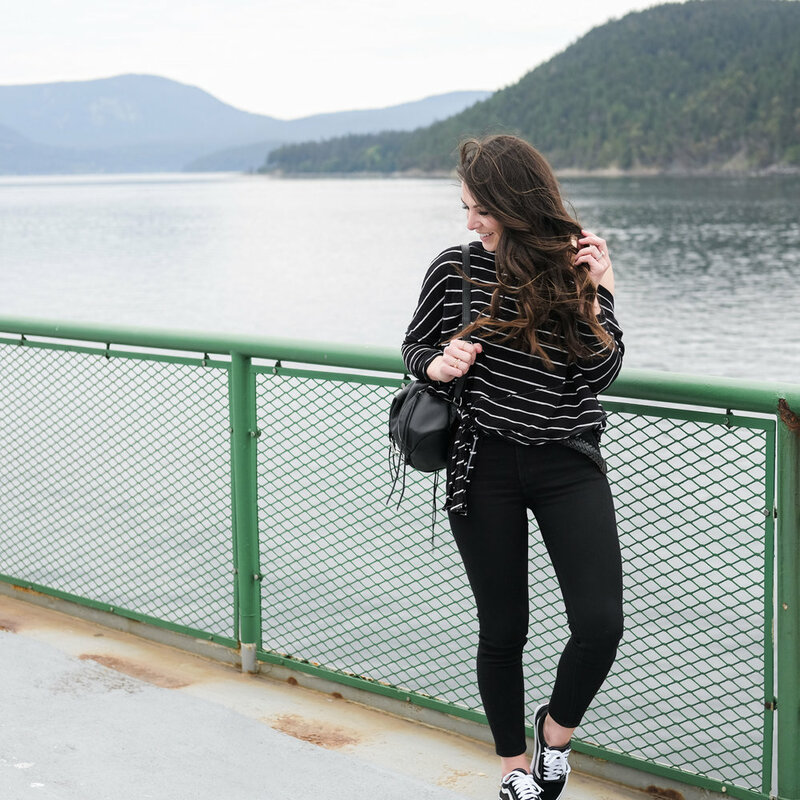 If you live in Seattle, taking a trip to the San Juan islands is a must! We got really lucky with perfect weather the weekend we went, but it did get chilly at night. Definitely don't forget to bring a lightweight jacket and items you can layer to stay warm when the temperature drops! Comfortable shoes are also a must and I can't recommend these platform sneakers enough! Check out the fun video of our trip on Facebook and make sure to like my page for more fashion, fitness, and DIY!